The Parkway Artists' Guild is a non-profit association of both amateur and professional artists. Membership is open to all adults interested in high quality, creative art including traditional fine art, fine craft/sculpture, fine art photography, fine digital art and other original art forms. Learn more about our active Guild, run by artists for the benefit of artists through our member volunteers. We welcome all who enjoy the creative process in art, are curious about new techniques and like to participate in group exhibitions and activities. Our art shows are for members only and are juried. We hold our annual "Art in the Gardens" indoor and outdoor art shows at the Niagara Parks Botanical Gardens, free admission to the public. April 20th, 20199:30 a.m.to 12:00 p.m.
Members may bring in gently used art supplies for the Garage Sale. No fee to PAG. Members are responsible for their sale transactions and for taking away unsold items at the end of the morning. 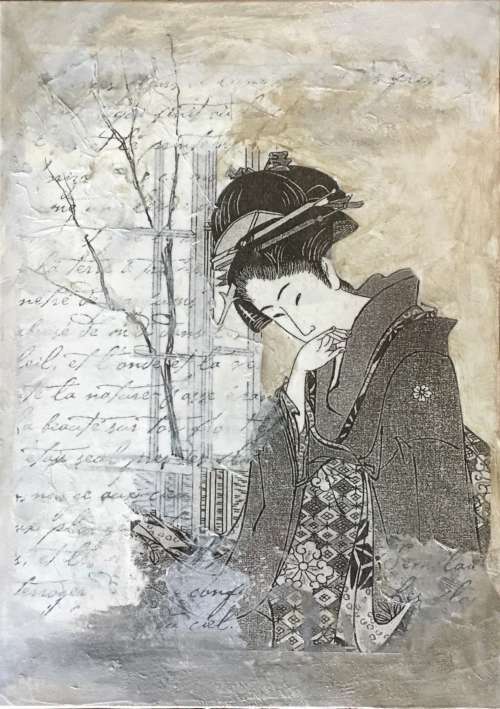 May 18th, 20199:30 a.m. to 4:00 p.m.
Are you interested in exploring mixed media? Join Renu D'Cunha as she shows us how to use a variety of found objects and materials to make a beautiful, finished piece.